Health Insurance plays a pivotal role in saving and planning for health-related emergencies. Health Insurance plays a pivotal role in saving and planning for health-related emergencies. 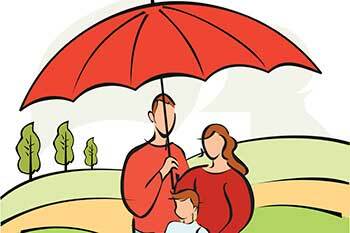 Here are the five benefits you can avail through health insurance plan. You can avail cashless health insurance (indemnity based) at networked hospitals of insurance companies. It means that you do not have to pay the medical expenses at these hospitals. The insurance company will settle it for you on your behalf. Some health insurance plans offer an amount for each day of hospitalisation. Do not worry about keeping records of the actually spent to claim this daily cash. The daily cash amount does not depend upon the amount actually spent. A comprehensive health insurance policy with an adequate sum assured can help you meet unplanned healthcare expenses so that you do not have to dig into your savings or reroute our income. One can also avail pre-defined tax benefits by paying health insurance premiums. Healthcare system in India has evolved with preventive health check-ups and improved diagnostics. Certain progressive insurance companies offer benefits that are generally not associated with health insurance policies. Some such benefits are: Free health check-ups, Tie-ups with health service providers, Discounts Coupons on healthcare services and Free Consultation with doctors.